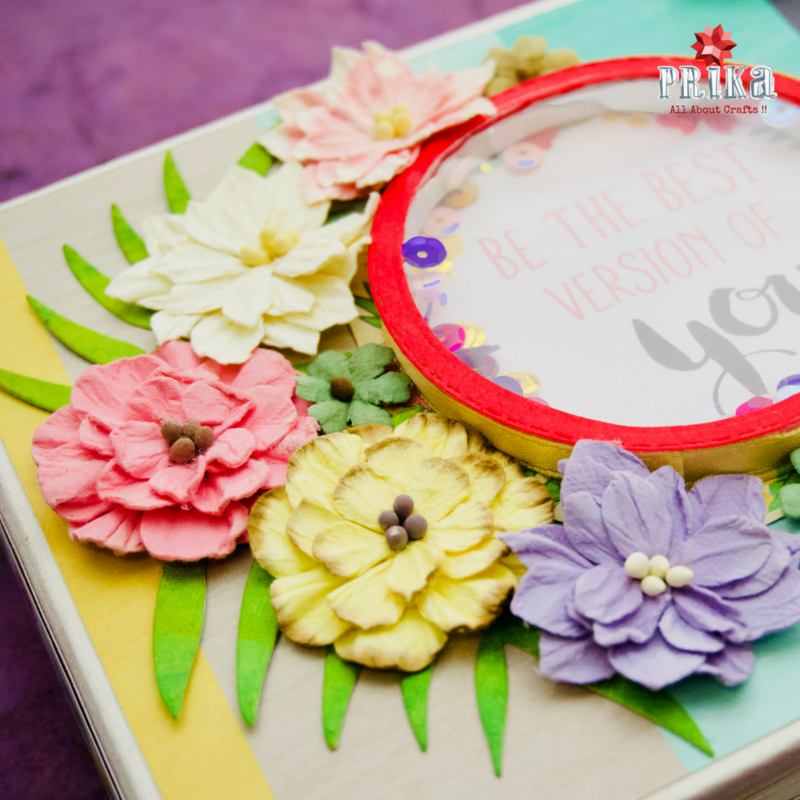 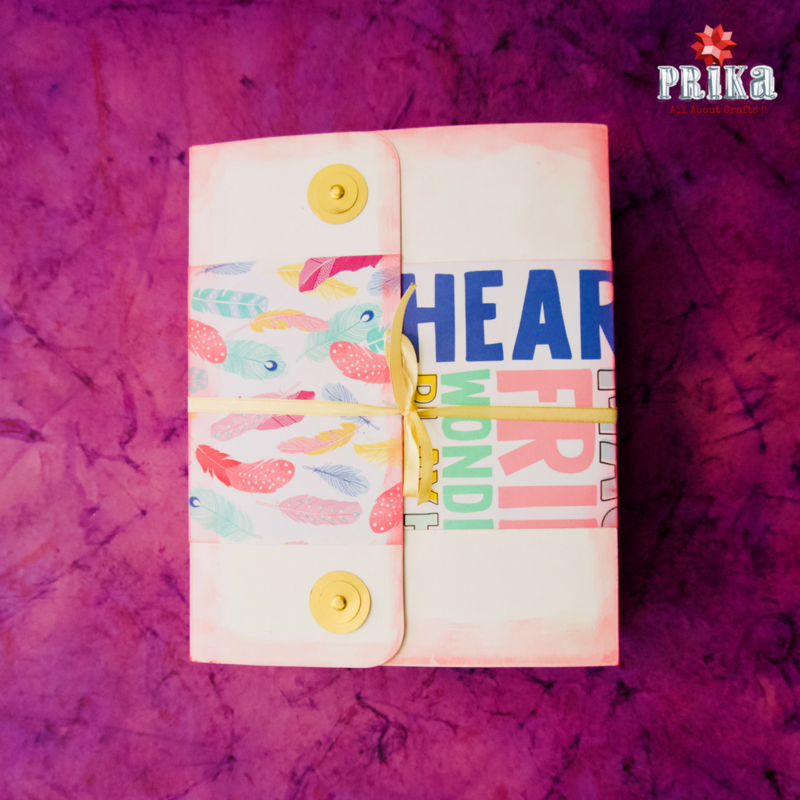 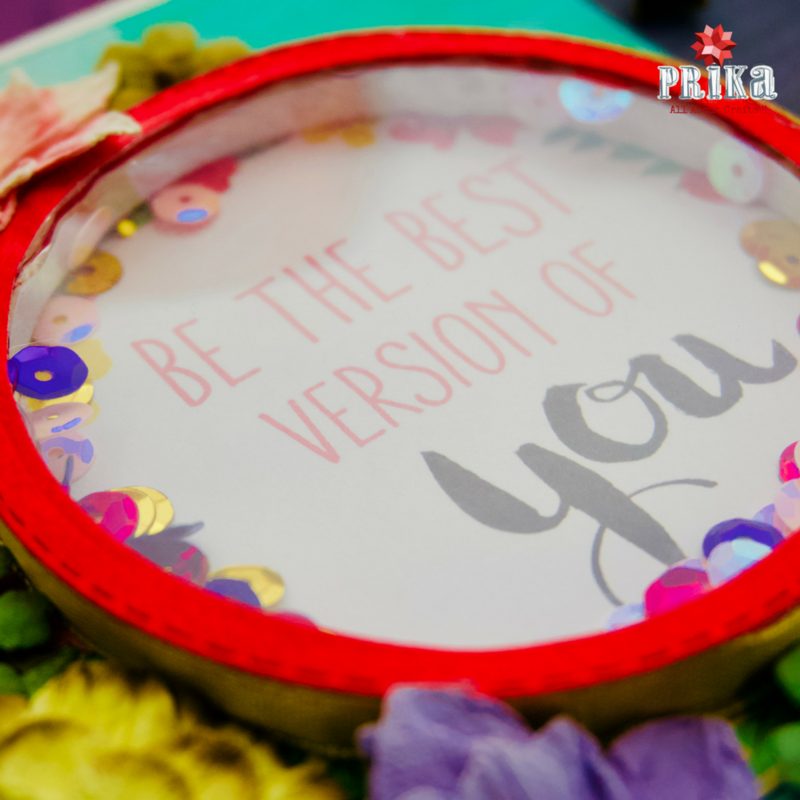 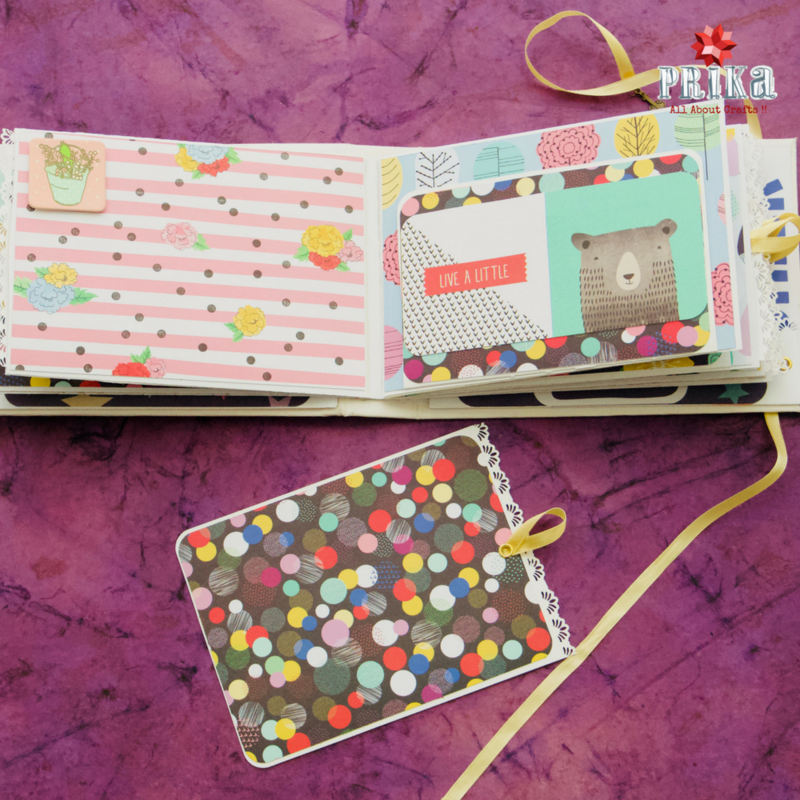 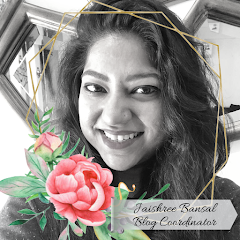 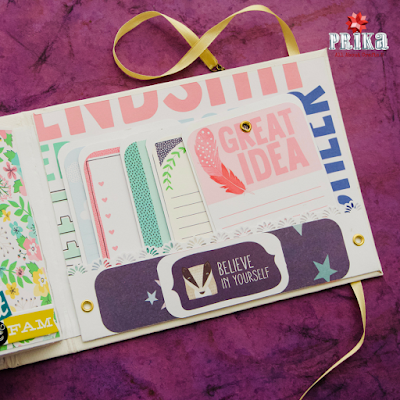 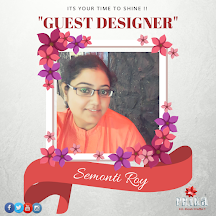 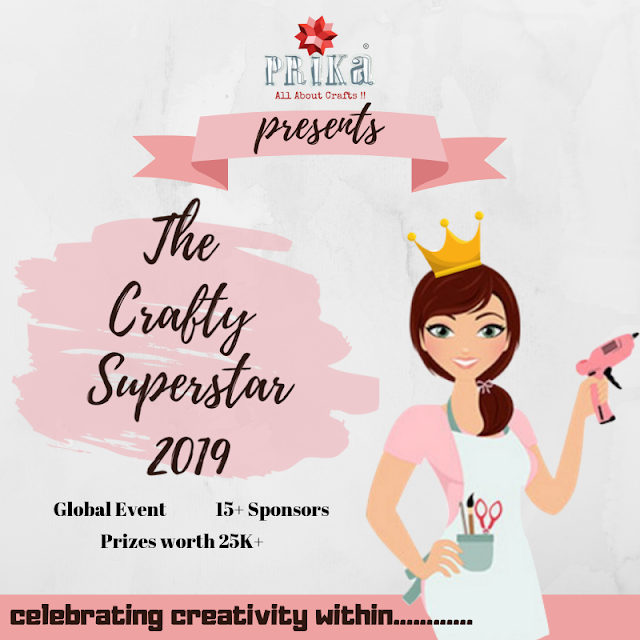 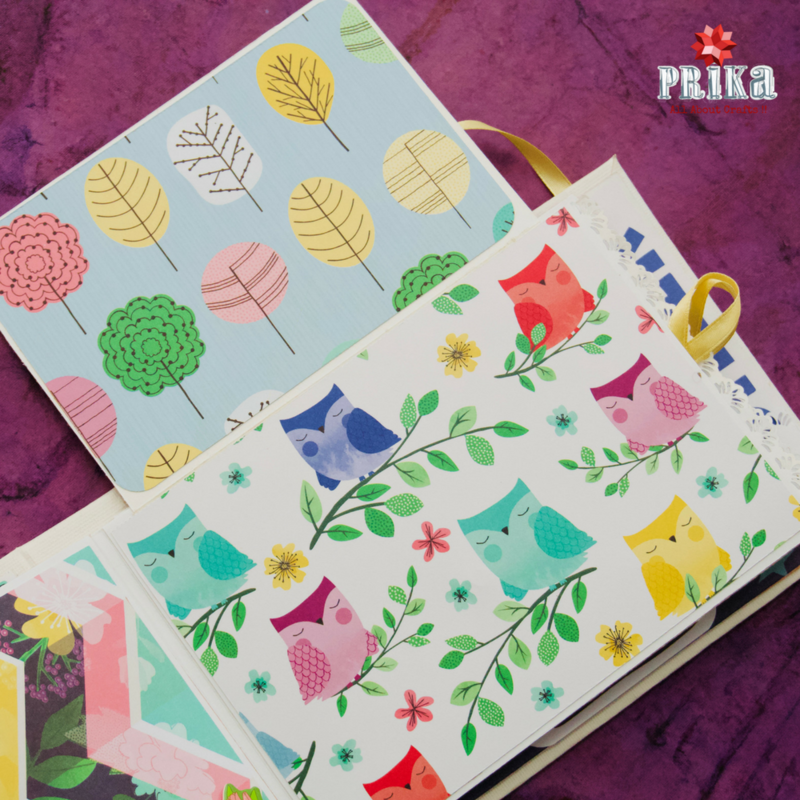 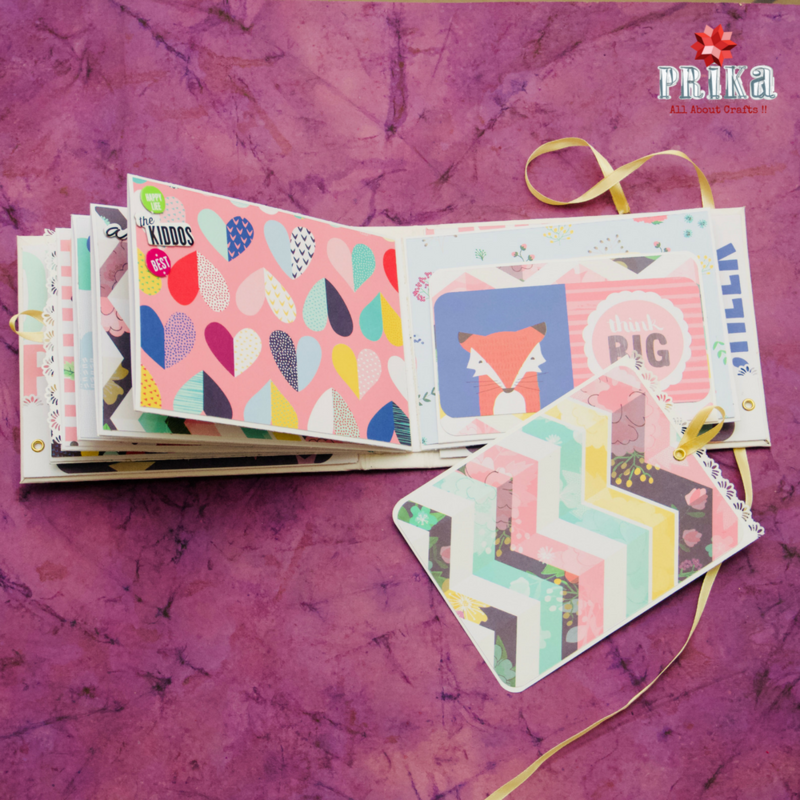 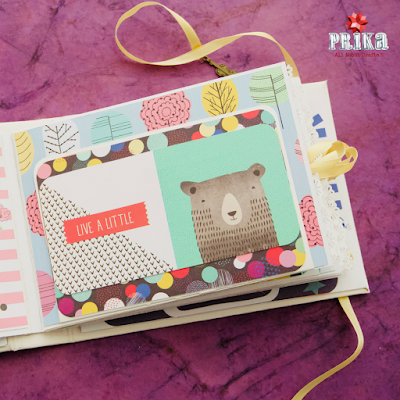 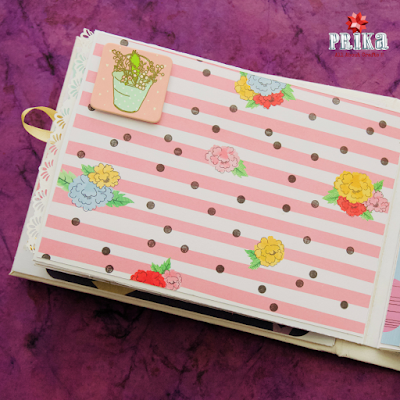 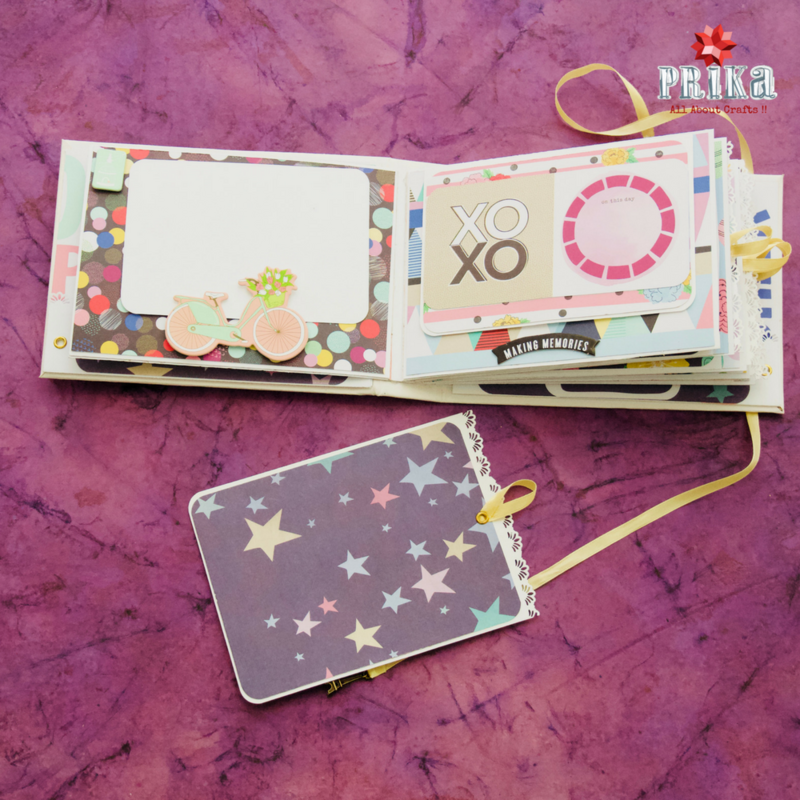 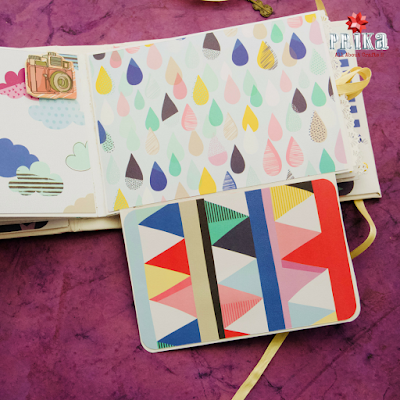 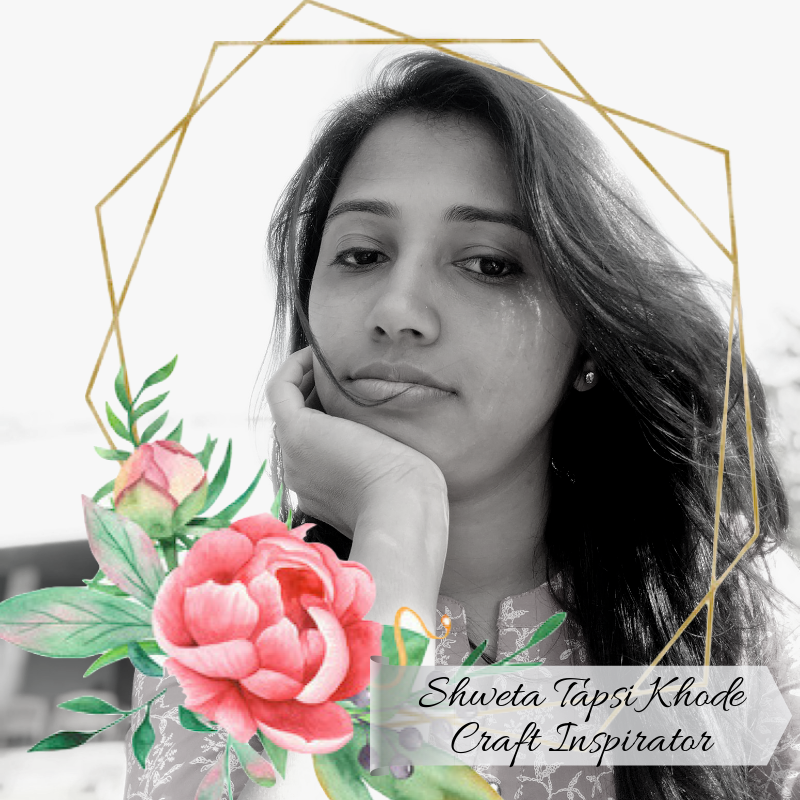 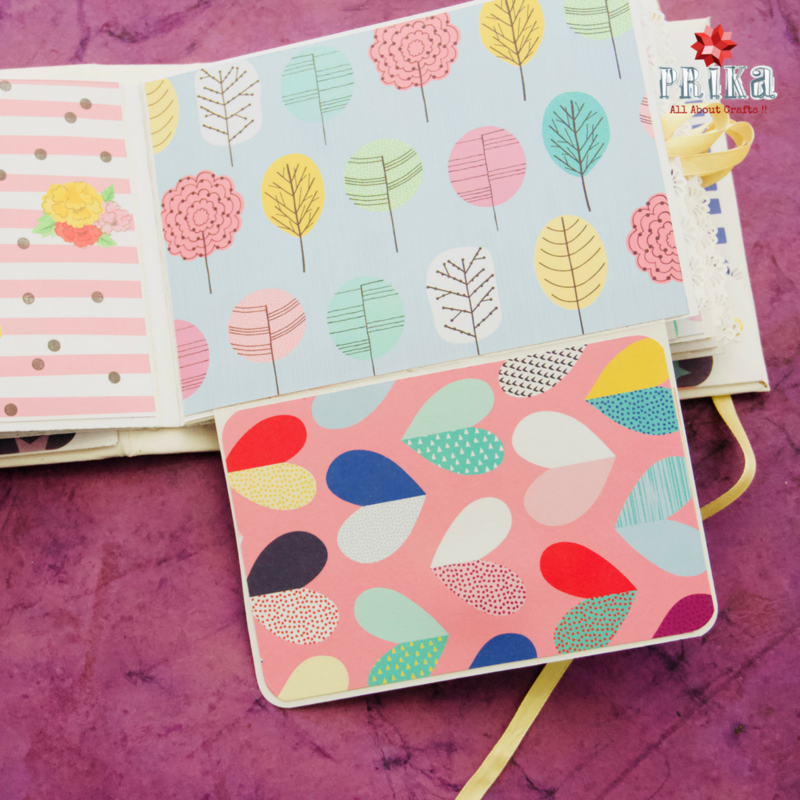 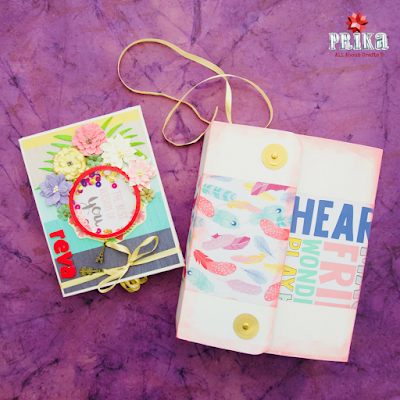 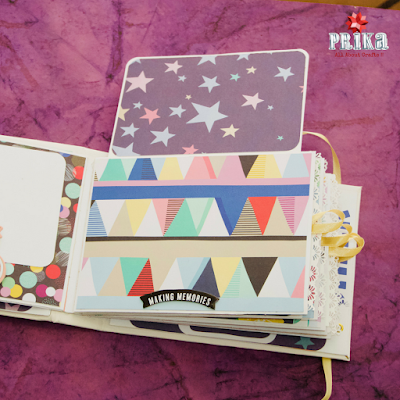 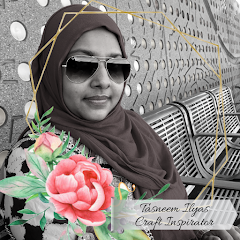 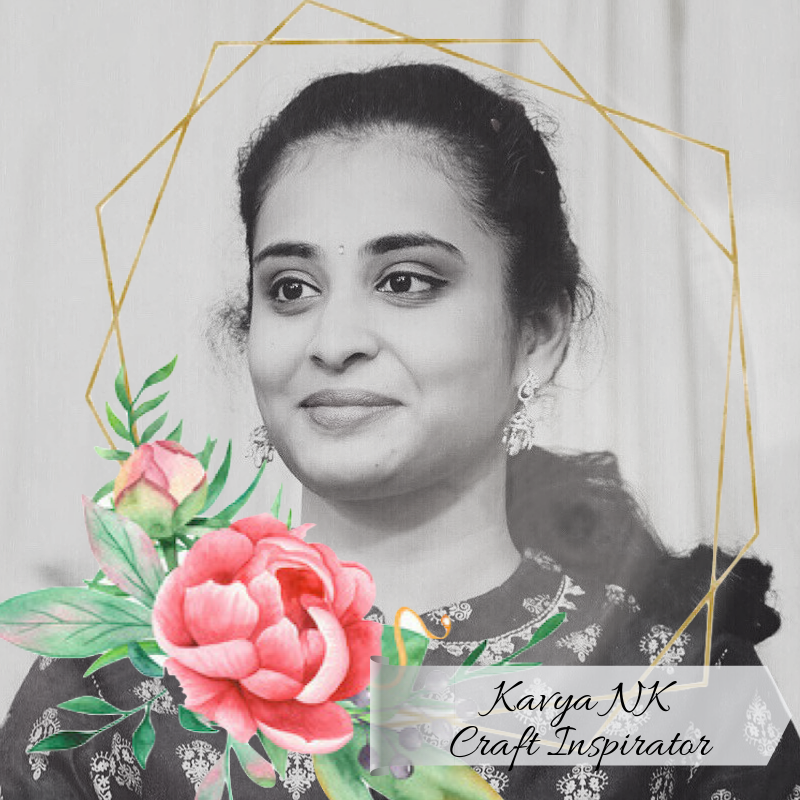 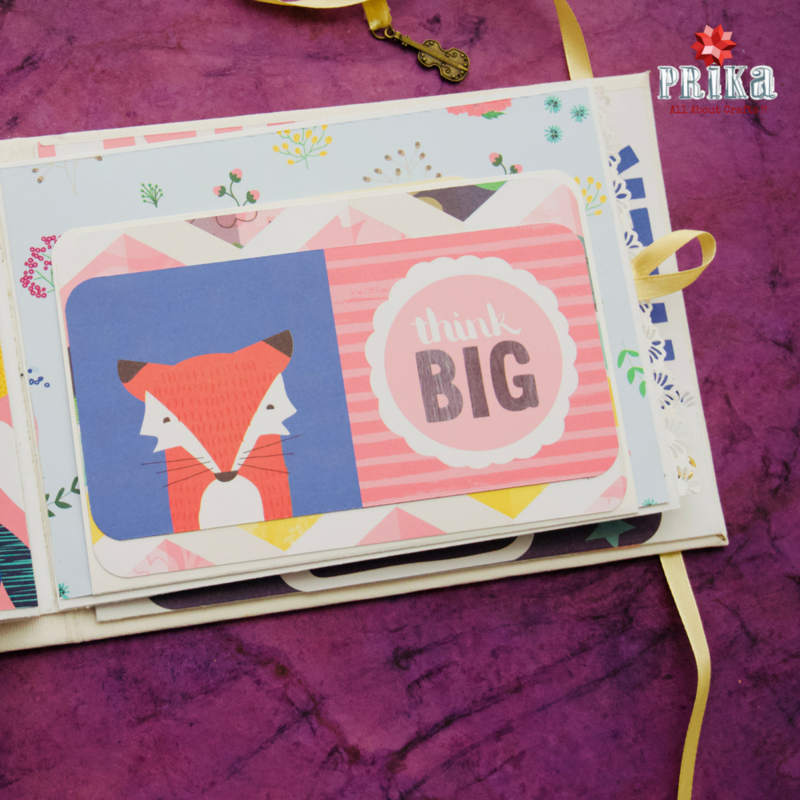 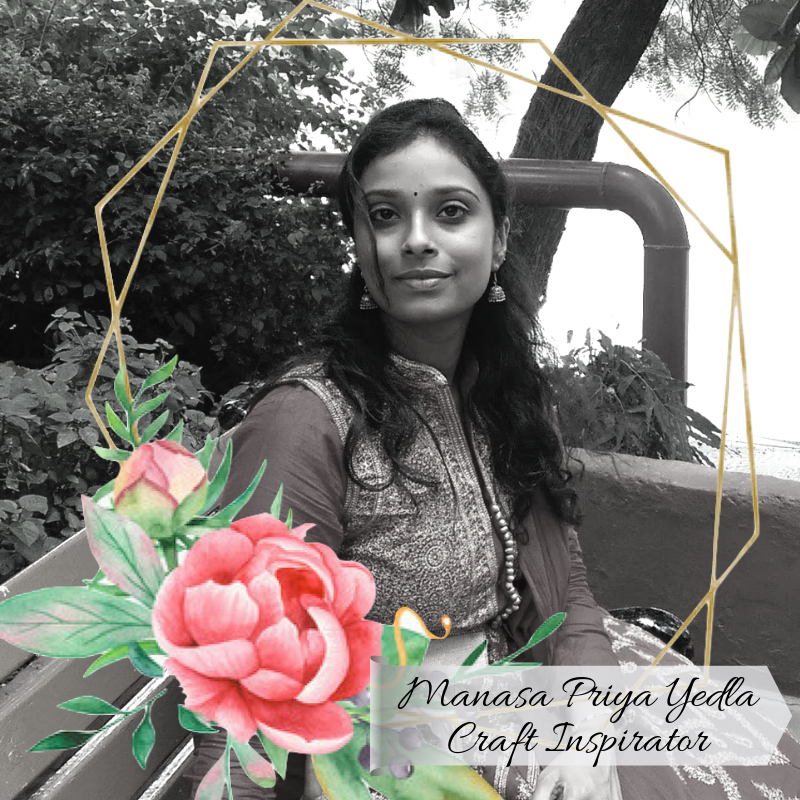 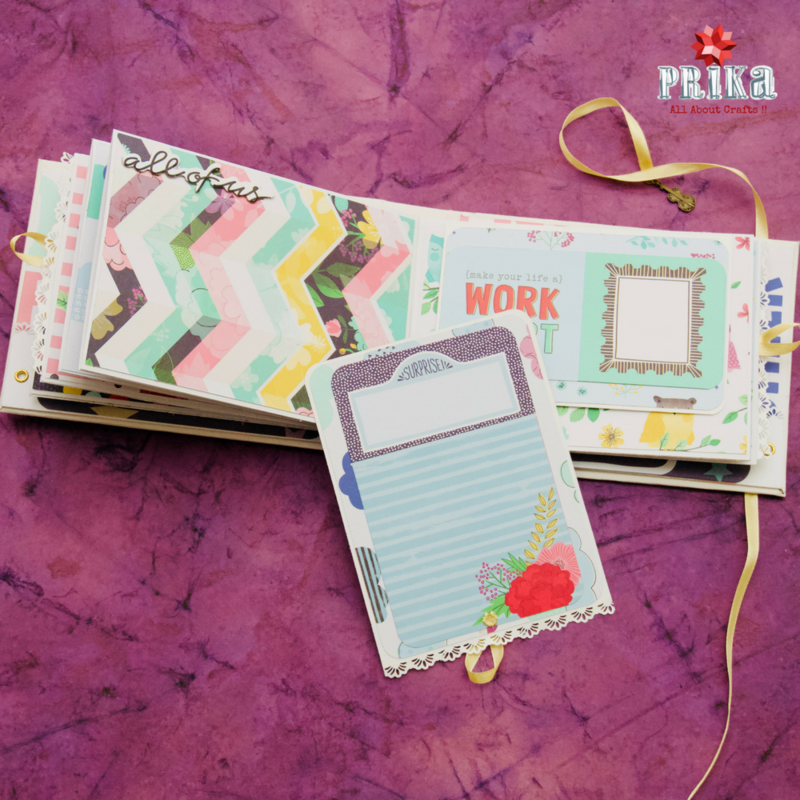 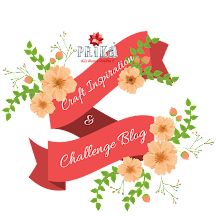 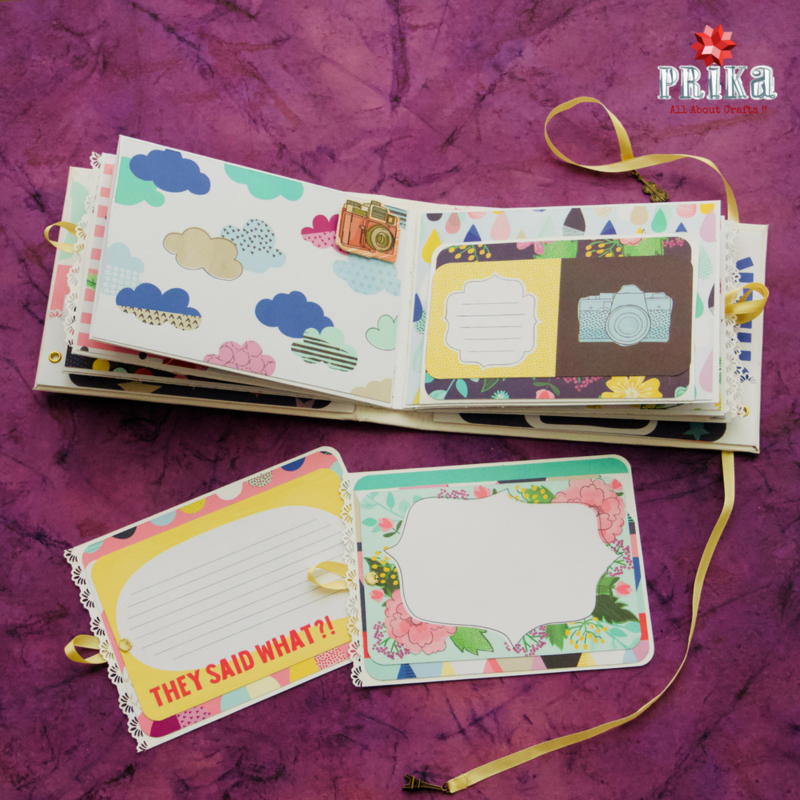 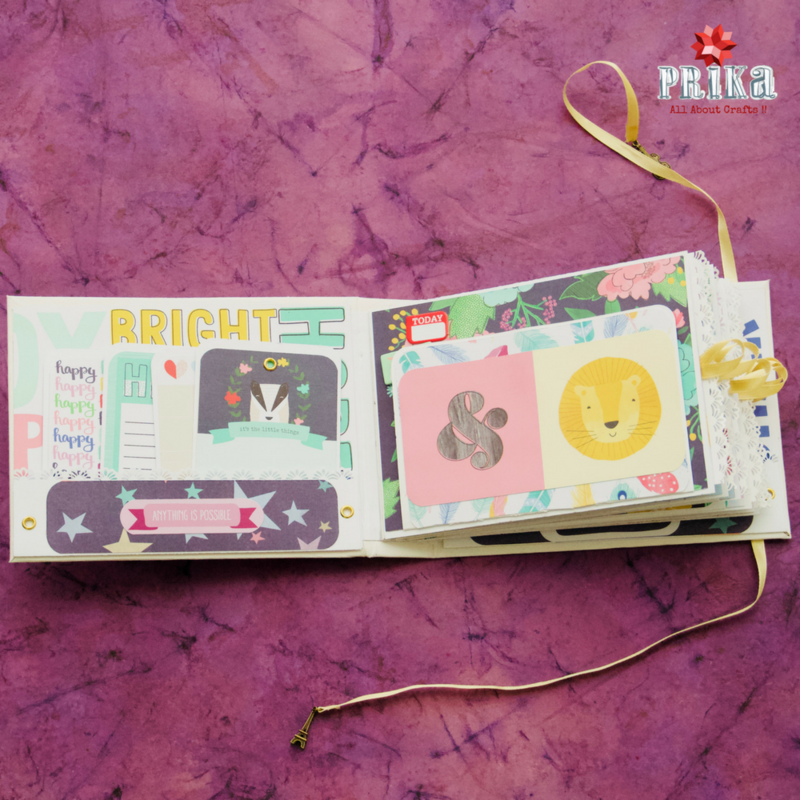 It has been a very fun filled week to create this little amazing mini book as an inspiration to a teenage girl “Reva” who loves every part of her life, keeping her personality in mind how she loves to art, craft , reading books, swimming, fond of baking and lots of travelling to new places. 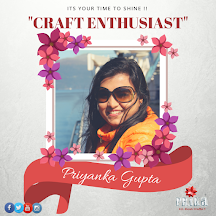 Loves to spend time with family and friends. 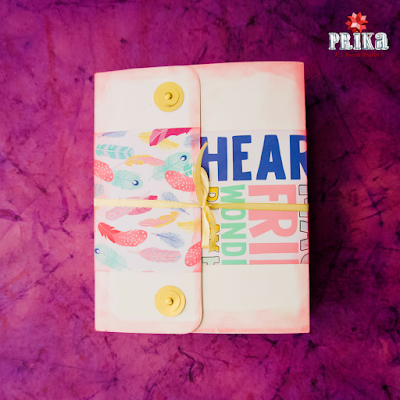 With this book I wish to keep her inspired in her coming life and each day a wonderful one! We have this nice cute box for the album, and a little shaker element on the cover. 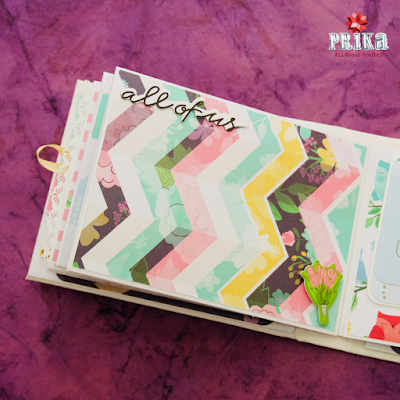 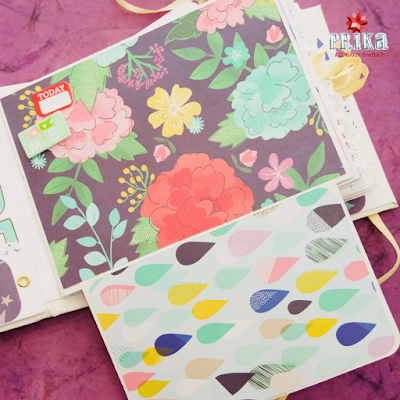 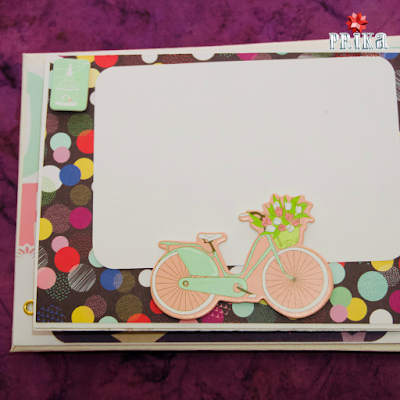 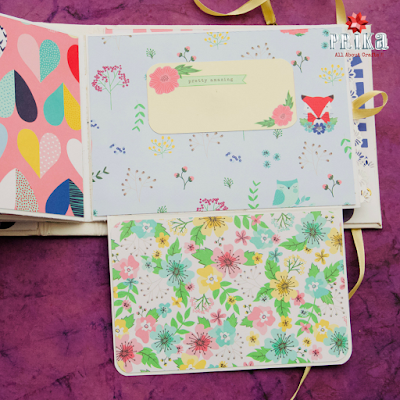 with lots of tags to add pictures and quick notes.There are six base pages in the album, each made with a cardstock flip pages on each side and sliders to add more. 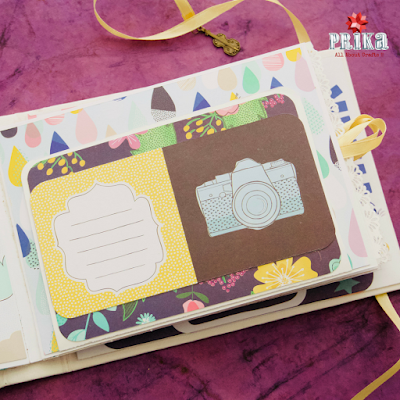 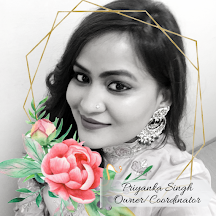 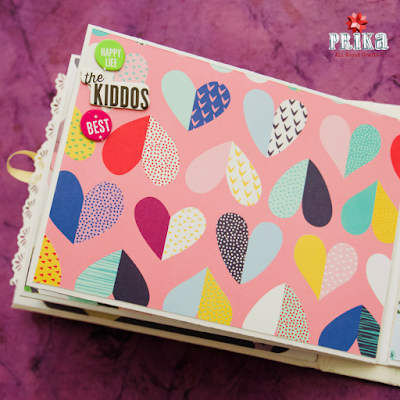 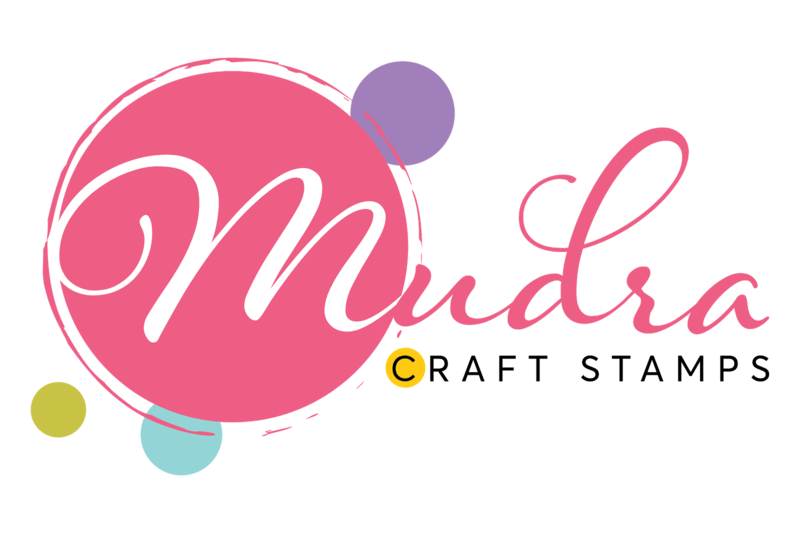 The very first page of our book begins with a space to keep yout tags and a flip over page along with slider to add lot of pictures and notes to it. 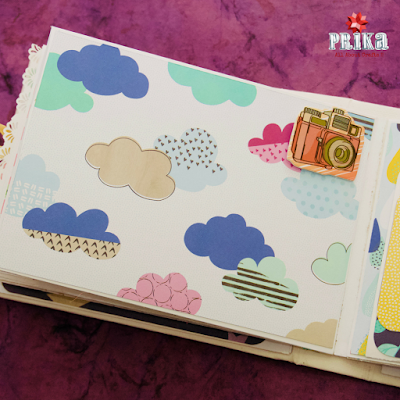 Third page of the book with another slider and flip over to add more pictures. I just love every thing about the the pattern, such amazing inspiring quotes and all the embellishments added, I wish I could have got this when I was a teenage girl. 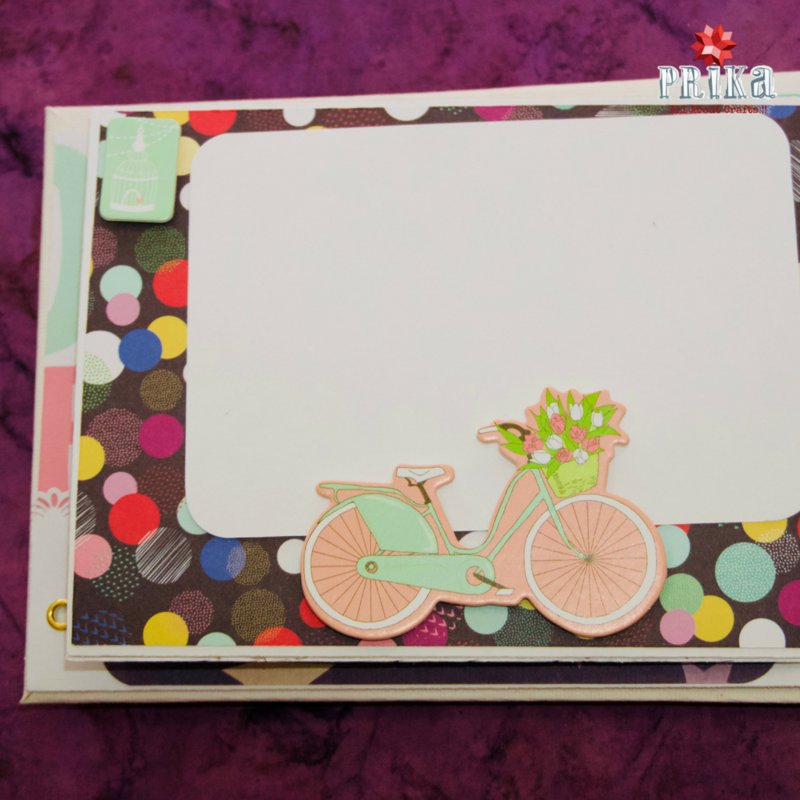 Each Flip over add a magnet opening to keep things at place.Each pullout mat has a large area to mat a 4" x 6" photo as well as a journaling spot below each.